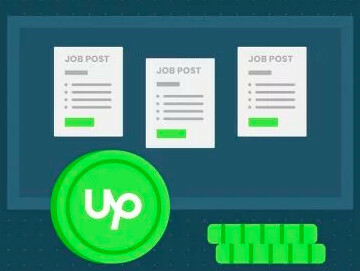 Does Upwork work for a new but enthusiastic freelancer? I believe -- but feedback appreciated -- that I have a strong skillset and profile. In November I used all credits to go after jobs that fit my capabilities. Sent individualized proposals each time, often including web research if I could determine the prospective company by name. Zero response: no inquiries, interviews, nothing. In early December, pattern is repeating. My stats are an absolute zero. 45 total proposals. For what it is worth I have been here a long time and usually get 1 job for every 5 I apply for and it has been very quiet the last few weeks. I recently applied for 15 (some sounded really awesome!) and I haven't heard one peep. 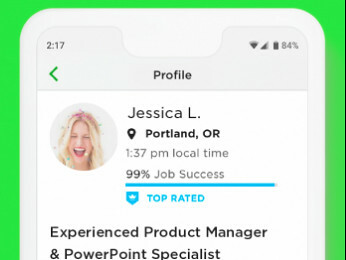 Maybe there is an upsurge of new clients who are really just curious at this point, and also an upsurge of new freelancers now that there is more buzz about Upwork. I am disappointed because some of the new jobs sounded pretty great but I check them and no one seems to be hired yet. Or some of them sounded like well-paid positions looking for 2 freelancers at fulltime in their posts, and I see they hired like 9 freelancers at about 8 dollars an hour. You need to redefine your profile. The first two lines are essential because that's what a client sees initially so in those two lines you need to encapsulate your skills and tell the client what you can do for them with those skills. You are offering too many options without any backing. Offer engineering and business writing skills to begin with. You should add a few tests (with at least above average ratings) and a portfolio showcasing your writing skills. To answer your original question though, Upwork is hard to break into. 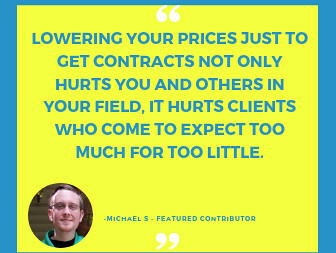 You have to find that one client who is willing to give you a chance despite having dozens of other freelancers (many with favorable work histories) to choose from. Look for clients whose job posts read like they would be the perfect fit for you rather than just posts of jobs you could do well. In your headline and first paragraph, you are using a lot of military jargon, not sure if that is intended or not. (Well it must be, as you are a writer.) It would turn me off big time if I were a client, but others might like it. You need to find a niche in the vast writer's market, and tailor your profile with that in mind. Concentrate on a few major fields. Also, take many tests. Maybe you have not been selective enough when selecting jobs for your proposals. Have you been looking at the client information in detail? What is their hiring rate, their feedback (what they received, what they have given), have they hired for well-paid jobs or not, what is their average hourly rate? Are they completely new?